Sometimes a horse shows undesired emotions during training, like biting, mugging, signs of frustration or even aggression. What can you do to change it? My mentor always told me it is foolish to keep doing the same thing over and over and expect different results. How do you break this circle? Take a break and rethink your approach. Go back to the point where the behaviour (emotion) was still desirable. Do do know what has changed? Change it back and see what happens. Maybe you have to change the setup of your training entirely so you won’t trigger the undesired emotion/behaviour(s). In this way you can first ‘work around it’ until there is a more desired emotion or behaviour associated with the behaviour. If you change your training approach you might find the cause of the frustration, boredom or other undesired emotion/behaviour in your horse. When I encountered a lot of frustration in a horse I used this approach. I didn’t realize what had changed at first. At first I experimented with a different target, a different area to train, hand feeding instead of feeding her from a bucket and so on. I talked it over with someone who watched the whole session and we figured out it might be the high value food I was using as a reinforcer. The mare got so excited by the very yummie treats, she couldn’t wait (anymore) until the target was presented to earn a click and reinforcer. Because she ‘couldn’t wait’, she started to display all her impatience by pacing up en down the fence, tossing her head and pinning her ears. She soon got so frustrated she couldn’t pay attention to what behaviour lead to presenting the target (ears forward, standing still, head at medium height or below) and a click. She went back to her ‘old ways’ to get what she wanted: displaying her unhappiness. This worked for her in the past and she just went back to her default behaviour, as we all do from time to time. It was only when I changed the food reward to a lesser value food that we immediately saw a huge difference in her behaviour. Apparently the food I was using was really high value for her, so she literally couldn’t wait for another opportunity to earn more clicks and more high value treats. That’s what caused her frustration. As soon as I offered her much lower value treats, she went back to thinking mode and she was open to learning again. I never met a horse that showed me so clearly that a high value treat can cause so much frustration. In my last post I wrote about the importance of teaching horses safe behaviour around food and food rewards. Another key lesson that helps keep training safe and fun for all parties is managing the emotional state of mind of the horse during training. You want the horse to use his mind and stay in his learning mode. In positive reinforcement training we reinforce the wanted behaviour in order to get more of that behaviour. As trainers we have to pay close attention to the behaviours we are actually rewarding. In other words: you get what you reinforce. 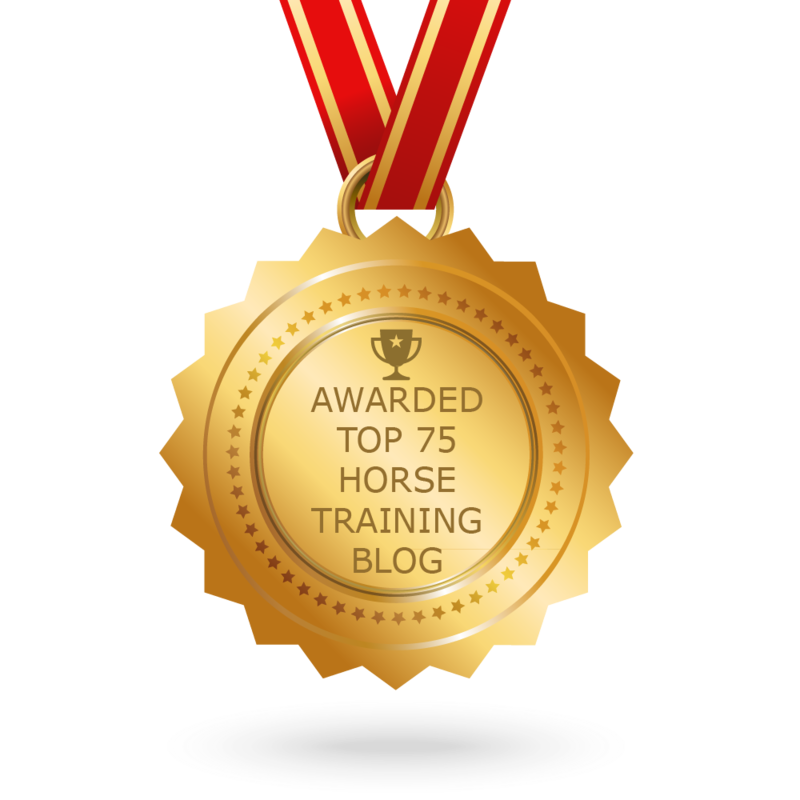 In clicker training, as well as in every other training method, it happens that trainers are not paying attention to the horses’ state of mind during training. Every trainer can unconsciously reinforce undesired behaviour, due to a lack of timing, lack of knowledge of behaviour or misreading body language. Common examples are horses that express (over)arousal, fear, pain or frustration during training. If the horse is experiencing arousal, frustration, anger, pain or fear the brain can prioritize these over a state of mind in which learning can occur. The horse goes into ‘survival mode’. He gets out of his ‘thinking mode’ and he can’t learn anymore. That is why these emotions and behaviours that can go with them are undesired in training. It is the trainers responsibility to pay attention and prevent or if necessary re-train these emotions and paired behaviours as soon as possible. It can be hard to detect the early signs of these emotions. Sometimes it is only recognized when it is already escalating in the horse. Then it is much harder to deal with it. There are two moments in training which you have to pay extra close attention to the horses’ emotions because those are the most reinforcing moments. The fist is the time of the bridge signal, the click. The click means ‘this’ is what I want you to do, it pinpoints the desired behaviour. The second important moment is the moment you actually deliver the reward, since the reward is reinforcing the behaviour at that moment. Imagine a horse is in a relaxed state of mind and happy and eager to learn. He pays attention to the trainer and is trying different behaviours and his behaviour soon meets the criterion of the trainer: he touches the target while he is happy and the trainer clicks. Then the trainer isn’t able to deliver the food reward as quick as the horse expects it. The horse becomes a bit impatient. He pins his ears, moves to the trainers hand with the treat on it and in his hurry he uses his teeth to take the food off the hand. This happens several times in a row. The trainer doesn’t pay attention or isn’t aware of this little change in the horses’ behaviour. Can you see what emotion/behaviour is reinforced during the delivering of the treat? Can you imagine that after a few repetitions this behaviour will become a habit for the horse? He is, after all, reinforced over and over by the trainer to behave this way. The horse can even think he has to ‘try harder’ in the way he takes the food off of the trainers hand and can change into ‘threatening the trainer for treats’. It is better to pay attention to the horses emotions right from the start and prevent behaviours and situations that can escalate. Make it a habit to watch a horses’ behaviour closely and change your criteria or training context as soon as you see the first signs of undesired emotions or behaviours. Keep your training fun and safe for everybody. This blog doesn’t have enough room to tell you everything I know about emotions in training and how to prevent and deal with undesired emotions. Do you want to learn more about ‘Emotions in Training’ and how to coop with them? Join HippoLogic’s 8 week online course Ultimate Horse Training Formula. In this course is a whole module about Emotions in Training. Not only equine emotions and how you can recognize them, but also human emotions, like dealing with frustration, feeling like a failure, fear and more.